Summer fishing is upon us! We have had a great assortment of fish offshore. 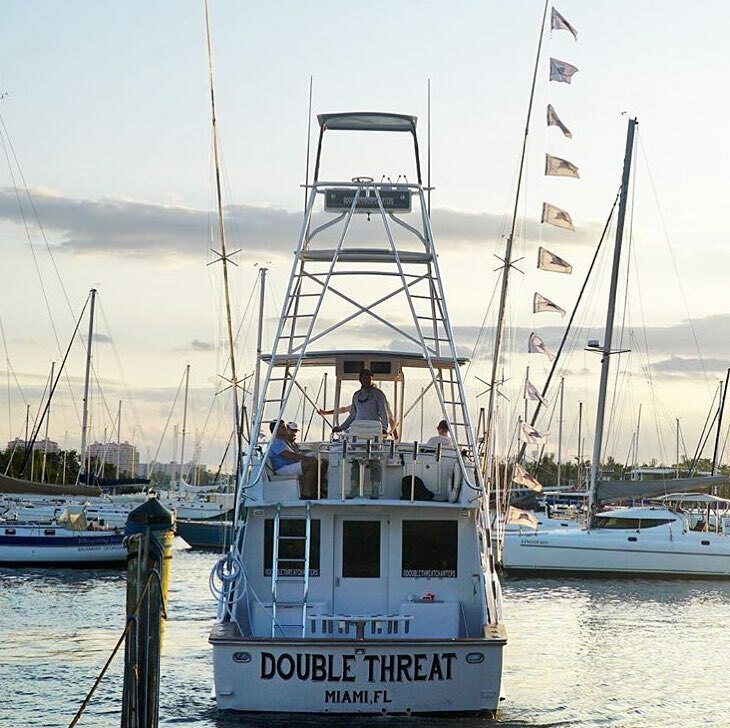 Depending on the conditions we have had shots at sailfish, mahi-mahi, kingfish, grouper, blackfin tuna, amberjack, and more. I'll do a quick breakdown of some of the different species we can expect this time of year. I'm going to talk about blackfin tuna, mahi-mahi, and amberjack. 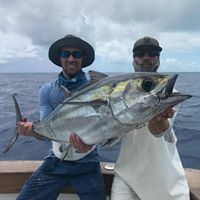 Feel free to check out the links for other fish we expect this time of year such as sailfish and kingfish, on our target species page. One of our favorite fish to target this time of year are blackfin tuna. This time of year, blackfin averaging 20-30lbs migrate along our coast. These fish are most easily targetted in the early morning and afternoon during low light conditions. They prefer feeding on live bait fished off the kite or with light leader on a flat line. We usually catch our tuna while kite fishing in 120-200 feet of water. When they eat the bites can be explosive. Live baits dangling off the kites don't stand a chance when a 30lb tuna jumps out of the water while eating the bait in the process. These tuna fight very hard and usually take about 30 minutes to bring to the gaff on 20lb standup tackle. Blackfin tuna are excellent as sushi or cooked to your liking. 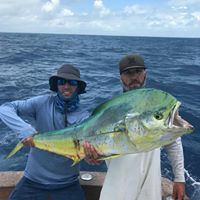 A very welcome species during late spring and summer is the mahi-mahi (dolphin fish). Dolphin are delicious, hard fighting fish ranging from 5-30+ pounds. During late spring and early summer they are often caught along the edge in 100-300 feet foraging alongside tuna, sailfish, etc. This time of year most of our big dolphin are caught while kite fishing. 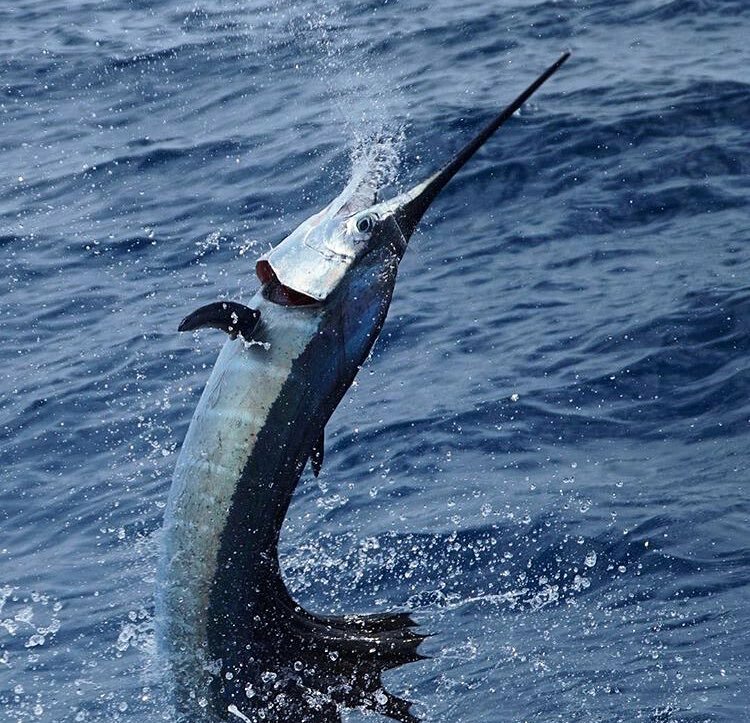 Bigger schools begin showing up during June as we venture offshore. In the deeper water 500-1000+ feet mahi can be found in much bigger schools along weed lines and under birds. These schools can range from 10-100 fish. We sometimes catch our boat limit of 60 fish! It is an exciting way to fill the cooler with hookups on multiple fish at the same time. Amberjack are an underrated gamefish off Miami. These fish aka "reef donkeys" are hard fighting fish in the 20-60+ pound range that frequent the many shipwrecks we have off of Miami. 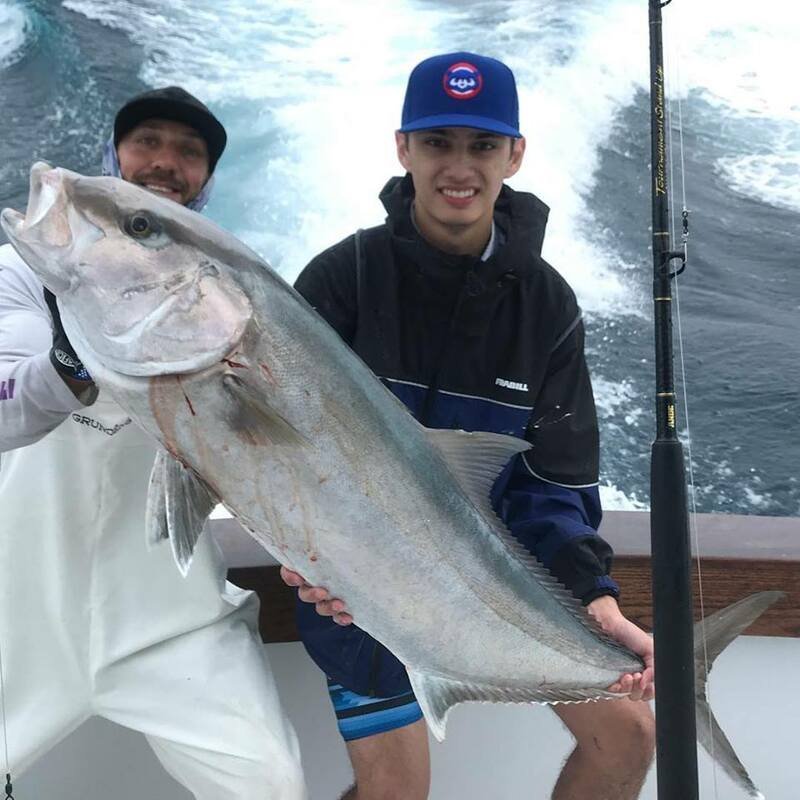 Spring and summer fishing for amberjack can be action packed. Our crew knows the sweet spots on many different shipwrecks where the bite can be instant when we send a bait down. These fish fight very hard and if the meat isn't wormy (sometimes an issue with bigger fish) they are good table fare. Regardless, they are big fish that fight hard. They are on the bucket list for many.